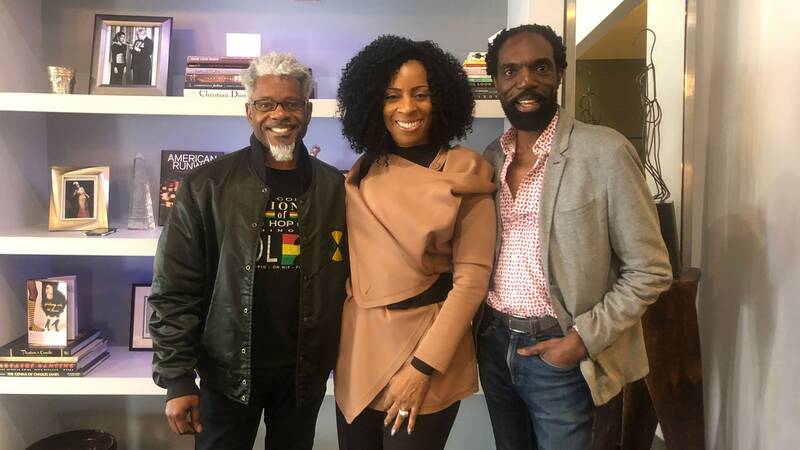 With more than 20 years in the fashion industry, Angela Dean, Kevan Hall, and TJ Walkercontinue to see a lack of support for black designers, which in turn hinders careers and erases the history of those who have made contributions. Dean has designed custom looks for celebrities such as Regina King, Oprah Winfrey, and Madonna; Hall is the former creative director of Halston (the house that designed looks for Jacqueline Kennedy and Lauren Hutton); and Walkercofounded the iconic streetwear brand Cross Colours. So this year, they decided to take a step to fix the situation and launched the Black Design Collective. Their mission is to lift up and amplify the work of black fashion designers and black costume designers, by providing a platform for established designers to develop their brands globally and creating a mentorship program for aspiring designers. Living up to its core initiative, the Black Fashion Collective on Saturday is honoring one of the greats in costume design, Ruth E. Carter, in the group’s first ceremony, in partnership with AT&T. The Academy Award–winning costume designer has been the wardrobe mastermind behind some of the most iconic black films to date: Do the Right Thing, Malcolm X, Selma, and, most recently, Black Panther, for which Carter took home an Oscar. The event, which will take place at the Fashion Institute of Design and Merchandising, will also be the launch of the Black Design Collective’s scholarship fund, which was created to help young designers in their pursuit of higher education in the fields of fashion and costume design. One merit scholarship will be given to a costume-design student based on their GPA, portfolio, and the changes they would like to see in the world of fashion. Teen Vogue spoke with the founders of the Black Design Collective about their mission and the importance of fostering a supportive community for aspiring black designers. TV: Why start the Black Design Collective? Kevan Hall: When we think about the great designers that so many people don’t know about, like Patrick Kelly and Willi Smith, these people who pushed the door open and broke the glass ceiling—how many people actually know about these designers today? We wanted to have a voice, first, to speak about our accomplishments and our successes, and then, as a second initiative, how can we empower the next generation of designers? So that’s how the Black Design Collective was founded. Angela Dean: And bringing relevance in history, from a global platform and really wanting to reach out beyond America so that people can really understand how much creative black fashion design exists in the world. TJ Walker: With the workshops and mentorship programs that we want to initiate within the organization. We want to educate the students and bring them on to mentor them, but not just mentor them while they’re with the organization, to also track their success and actually guide them through the industry and help them navigate some of the things you would typically face in the industry on your own. TV: What does Ruth E. Carter’s Oscar win mean for the black design community? KH: It’s an incredible accomplishment, when we think of Ruth’s body of work—over 40 films and television projects to her credit and 30-plus years in the industry. You know it meant a lot to her and it meant a lot to our community to be able to see a black woman who stayed focused in a career and worked her way to that stage. AD: She gave inspiration to those that come through to know that all is possible. She’s worked tremendously hard up to this point with very little recognition. We actually came up with the idea to honor her a year or so prior to the win, and have been supporting her long before she won the Oscar. TV: How have you seen the industry change for black professionals?KH: Things are starting to get better for us because we are now making people aware of the issues. As we begin to speak about it more, as we begin to amplify the talent of black designers and our contributions over the decades, we all will begin to see more of a change. We’re just starting to see a trickle now, and that’s why the Black Design Collective exists, to amplify our talent, to lift and promote our craft and our skills, and to empower our young people. TJW: Social media has also given us a platform, making it an even playing field for us to actually identify who we are, what we are, and what we’re doing in current times, and, actually, from the past as well.